Irish Ferries: from midday, Holyhead Port, Anglesey LL65 1DR. The union has obtained evidence that a Latvian Ordinary Seaman is paid a basic €5.51 per hour by Irish Ferries. RMT members will target the 14.10 sailing to loudly raise the need for pay justice and trade union recognition at this company which is a major threat to the long-term job prospects of Irish and UK Ratings. Ahead of the arrival of the new ‘super ferry’ W.B. 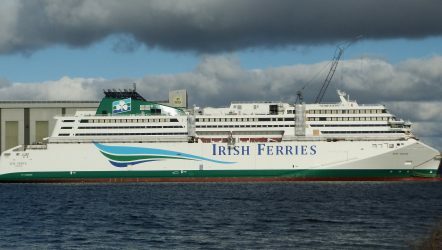 Yeats on the Holyhead-Dublin route, this action is vital to raise public awareness of Irish Ferries’ anti-trade union policies. The W.B. Yeats has been bedevilled by technical and other problems which have delayed its introduction by over four months to date. Current speculation is that the vessel will arrive for work on the Holyhead-Dublin route in mid-December. Whenever it arrives, RMT members will be ready to swing into action to raise the profile of Irish Ferries’ damaging and exploitative crewing practices. “On Monday the union will be taking the campaign for decent jobs on decent pay and conditions right to the heart of the Irish Ferries operation at Holyhead Port.